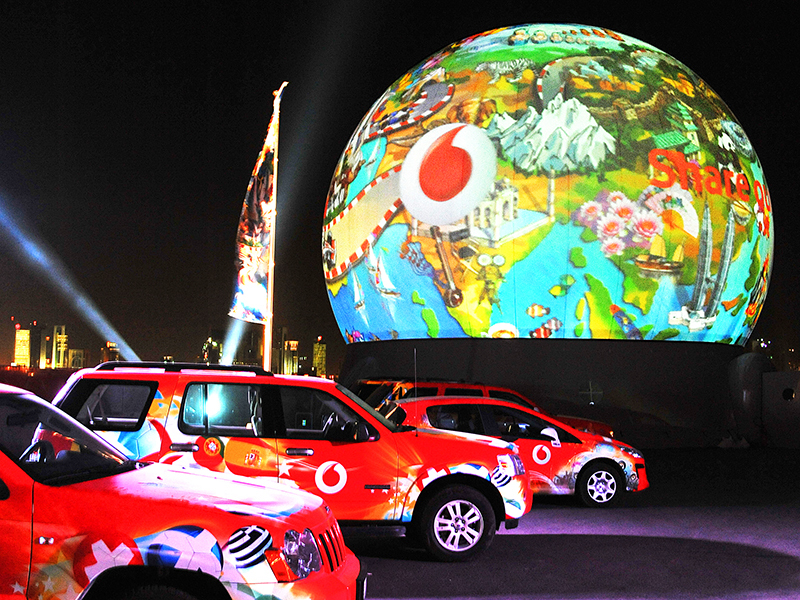 A brand experience to remember, Vodafone wanted to deliver an IPO which would incorporate its values, as well as delivering a fully immersive Vodafone branding experience. Along with a 15m Stratosphere on the peninsula, super-bright projection was used to make the StratoSphere appear as a beacon, which attracted people from all over the city of Doha. Working closely with Vodaphone's Marketing Department, our creative team designed impressive full-dome content, with the idea being to make the customer experience as vivid, bright and engaging as possible.